Tactics - I Hope You Love Chess As Much As I Do !!! It all started when I was just a youngster, back in 1996. We moved from my hometown Petrila, to a bigger town near by, Petrosani, where chess activity was much higher. From the beginning I was fascinated by tactics and beautiful combinations, so I started to carefully copy them in my thick notebook, which is still "alive" today, after 20 years of hard work. 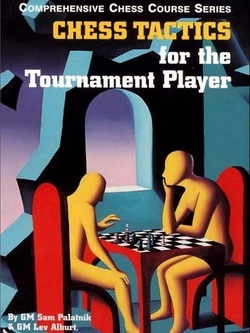 I remember that my first book of tactics was the famous Polgar's 1994 book, 5334 Problems, Combinations and Games. Since then, I became a slave of this fascinating world with crazy sacrifices and sleepless night endgame studies. My hunger for hunting them down never let me sleep well, even today when I have a pretty cozy bed. 1. I search on the internet for a new tactics book and download it, usually pdf or djvu format, scanned by other chess enthusiast and shared. 2. I start creating all the diagrams from book into chessbase positions, piece by piece, the hard work. 3. After this, I insert the solutions of every diagram, and corect it with an engine if necessary, takes me a lot of time. 4. I scan again the whole project to verify for errors, and sort the diagrams accordingly to author's criteria, or mine. 5. Finally, I sleep a day or two to recover the energy lost in the process. After that, I share the book newly converted to others.